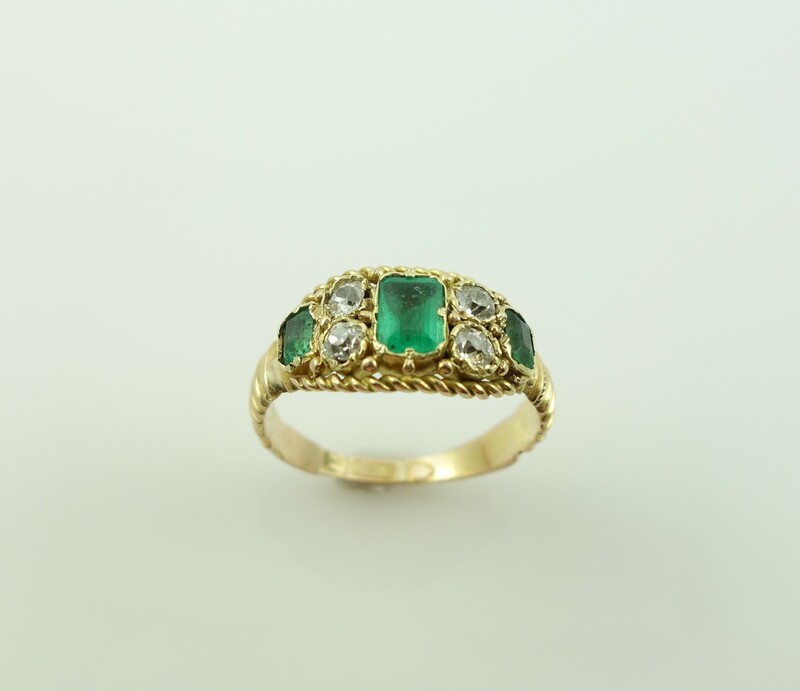 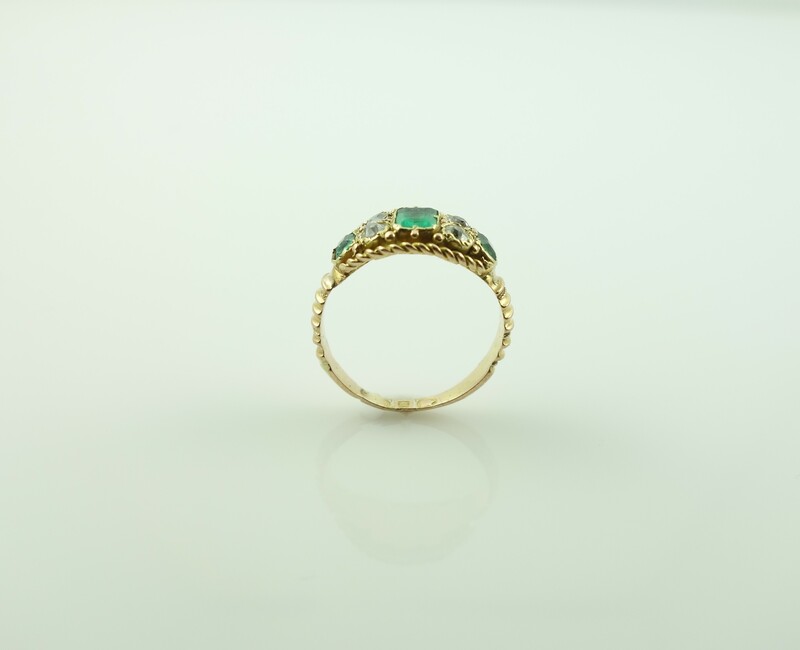 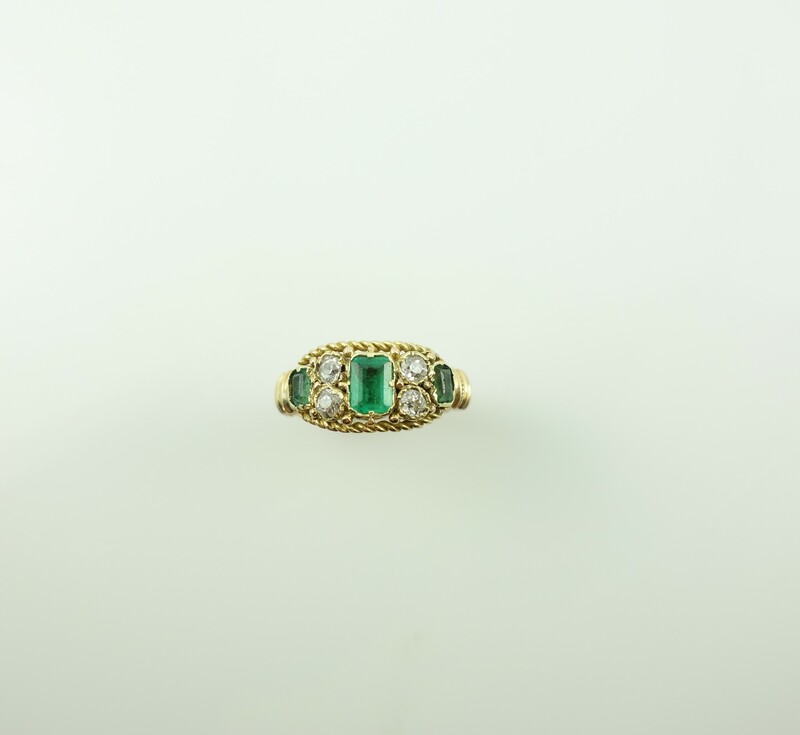 A lovely 15ct antique emerald and diamond ring in yellow gold with 3 emerald-cut emeralds separated by 4 old-cut diamonds between a beaded frame. 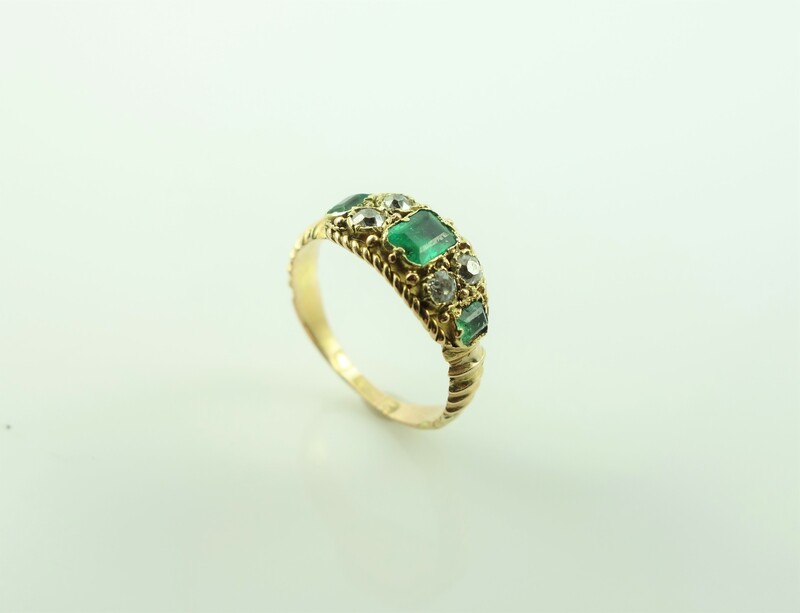 Ribbed shoulders complete this late Victorian ring. 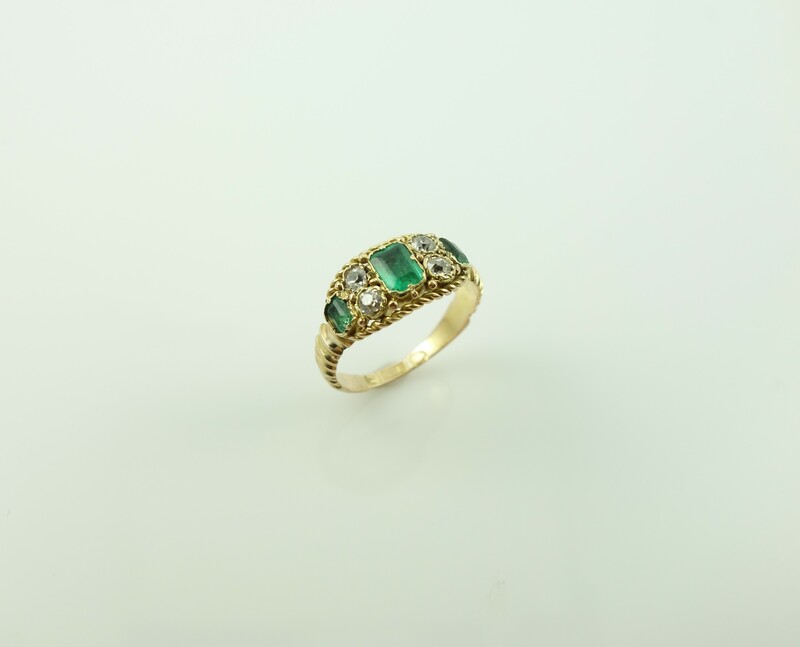 This ring can be resized.